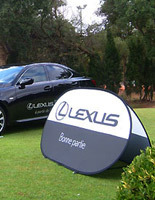 This pop up banner is a sign tent for trade shows, exhibitions, outdoor concerts, sports, sales, special events and exhibitions. 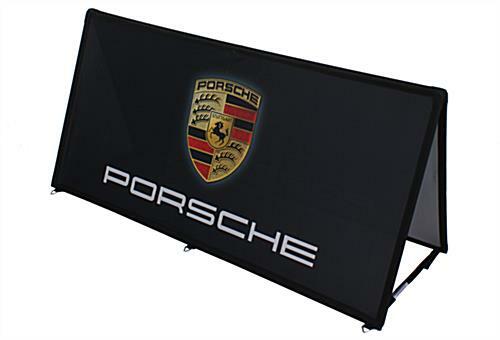 Remove the fabric signage from its carrying case and it sets itself up instantly. 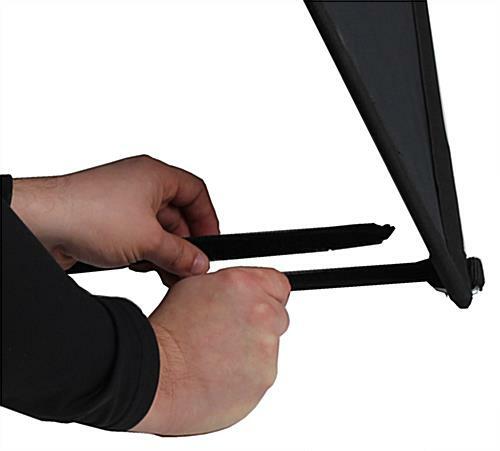 Connect the included hook and loop bars to keep the setup taut. Insert the metal stakes into the ground outside to keep the unit stable. 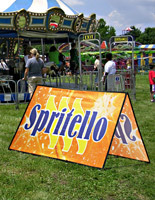 Inside, forget the steel pegs, but add sand or water filled bags to anchor it in auto dealerships and showrooms. 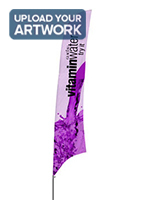 This popup banner that is collapsible is a superb outdoor display for festivals, conventions and sporting events with high visual impact. 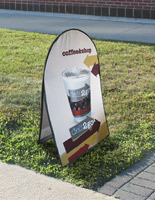 This 59" x 29" sign tent is constructed of lightweight polyester mesh fabric with made-to-order printed graphics. 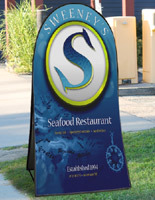 This banner boosts brand while providing directional assistance to visitors to outdoor venues and indoor showrooms. 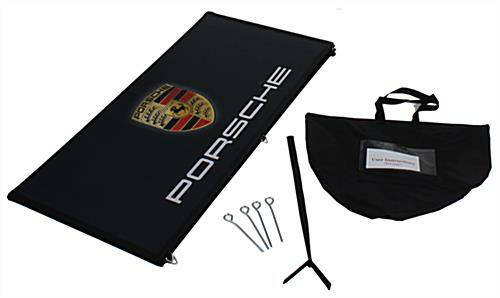 Packing this sign tent up is as easy as setting it up is - just fold the collapsible banner and re-insert it into the convenient carry case.